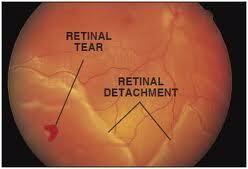 A Retinal Detachment occurs when the retina separates from the inner layer of the eye, where it is normally positioned. This can develop secondary to a retinal hole or tear that allows fluid to track through the hole and under the retina causing the retina to detach from the back of the eye. Retinal tears or holes can occur spontaneously or following trauma when the vitreous gel in the back of the eye pulls away from the retina and simultaneously creates a hole or tear in the retina. 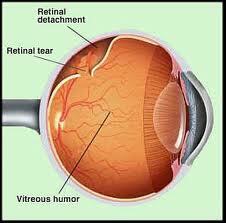 Retinal detachments can also occur without a hole or tear in the retina, but rather from a fluid collection that develops beneath the retina and pushes the retina away from the back of the eye. This is referred to as an exudative retinal detachment and is most often caused by an underlying inflammatory condition or tumor. Retinal Detachments of any type can result in severe vision loss and require urgent treatment, usually with laser or surgery. There are a number of different surgical approaches that can be used for repair based on the severity, location and extent of the retinal detachment. 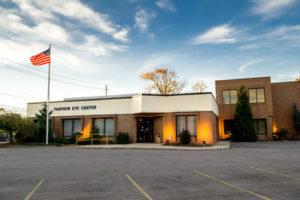 These surgeries include: Vitrectomy, Scleral Buckle, Gas or Oil bubbles, Pneumatic Retinopexy, and Cryotherapy. The symptoms of a Retinal Detachment can be similar to that of a Posterior Vitreous Detachment with flashing lights and new floaters in the vision, but may also be accompanied by more severe symptoms such as a curtain of darkness or shade coming over the vision or blind spots. Because of the seriousness of this condition, we recommend that patients call to be examined in the event of any new onset flashes and floaters or any drastic changes in the vision. Risk factors for retinal detachment include extreme nearsightedness, family history of retinal detachment, trauma to the eye, or previous eye surgery.